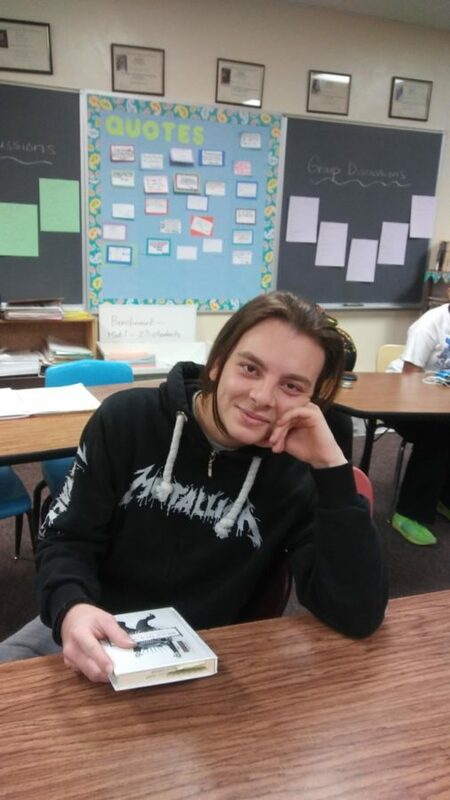 Giga Berozashvili risked a change of setting to come to Neenah to experience a change in culture, while completing his senior year at NHS to feed his love of adventure. When mountain ranges are replaced by corn fields, Giga Berozashvili knows that he is not in his home country of Georgia anymore. He risked a change of setting to come to Neenah to experience a change in culture, while completing his senior year at NHS to feed his love of adventure. When hearing of this opportunity Berozashvili could not pass on the offer. Helping him through this journey, he stays with a Spanish teacher from Menasha, Mrs. Astrike. This is one of the biggest changes he has been dealing with after saying goodbye to his younger brother and the rest of his family. In his home country of Georgia, friendly interactions as well as greetings are much different. Berozashvili explains it is common for friends to hug and offer a kiss upon seeing one another. This expression is the equivalent to a wave of the hand, and the all too familiar “What’s up?” often used by American students. Upon completion of high school, Berozashvili hopes to work toward entering the marketing world, primarily focusing of advertising. As a backup plan, he would enjoy working in the movie industry creating films. The life of a foreign exchange student is an experience few will ever know. “Everything is different,” he indicates. Noting: family, food, friends, and an entirely new language stand out above all. He offers the obvious listing with an edge of sarcasm and flip of his hair. Although he recognizes the arduous new journey laid out before him, Berozashvili has made new friends and is enjoying his time spent at NHS. Berozashvili’s lifestyle change, many would say, could be the makings of a thrilling adventure movie being created ahead of schedule.